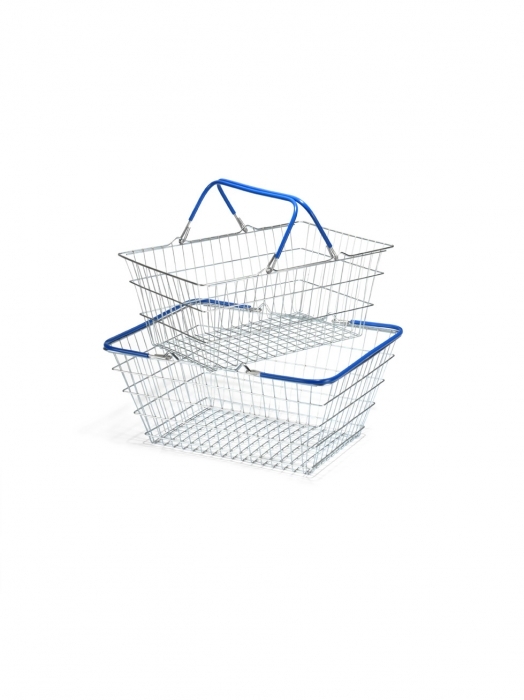 19 litre lightweight wire shopping baskets sold in boxes of 10 baskets. 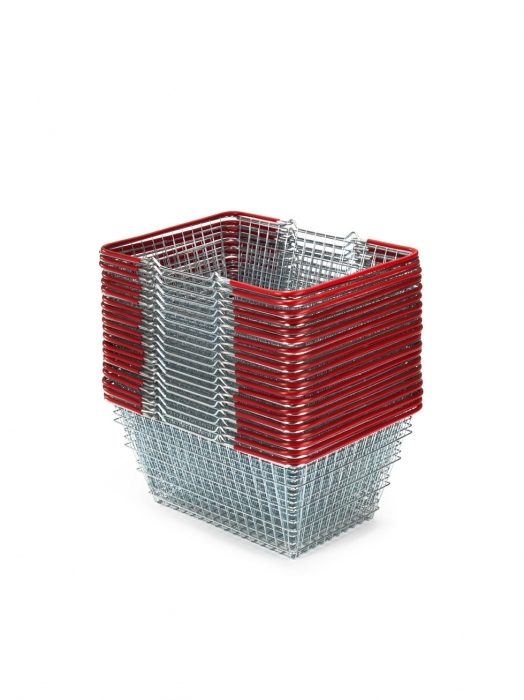 High quality rust resistant zinc wire basket with durable coloured handles available in various colours, shades of handles may vary from image. Bespoke colour options available on larger quantities. Dimensions: W 445mm x H 185mm x D 310mm. 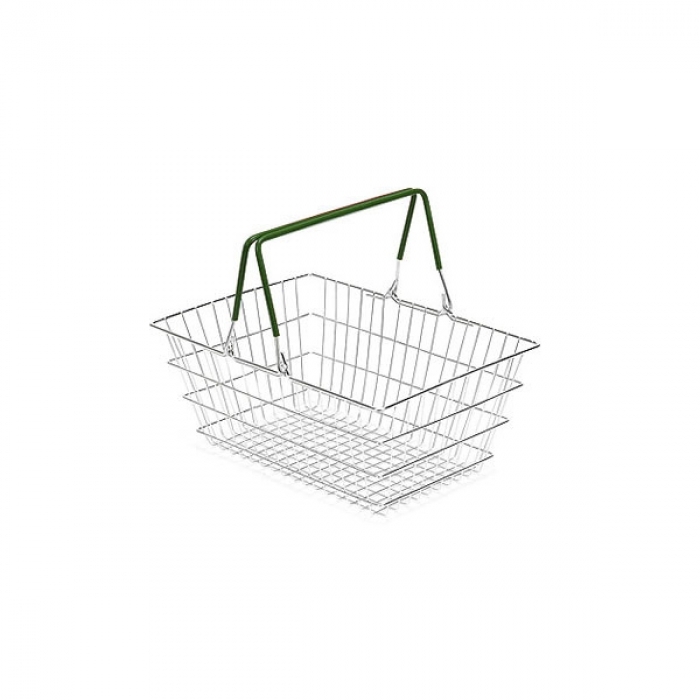 Strong wire shopping basket allows customers to securely carry products around the store, with you being able to see what is within the shopping basket.